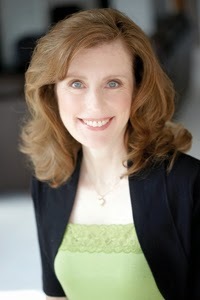 Kristy Cambron set the bar high with her debut novel, The Butterfly and the Violin, and she soared to the same heights with her second Hidden Masterpiece novel, A Sparrow in Terezin. Once again, she weaves together a present-day story with past events that include some of the horrors of World War II internment camps. Following the two stories, separated by continents and by decades, come together carefully and at just the right pace is an emotionally gripping reading experience. Kristy writes with such feeling and vivid detail that you can easily put yourself into the lives of her characters. And the thread of hope that runs throughout adds an additional sense of beauty to this captivating story. While A Sparrow in Terezin might be enjoyed as a stand-alone book, I would highly recommend that you first read The Butterfly and the Violin for the sheer enjoyment of the first story and to better understand the second. 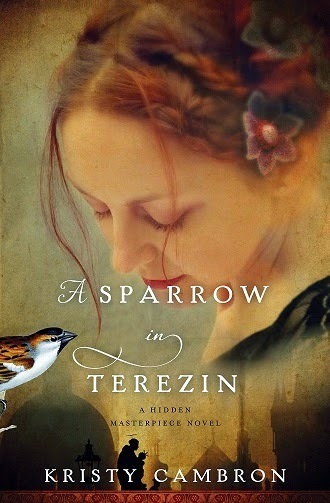 See what other reviewers have to say about A Sparrow in Terezin here. 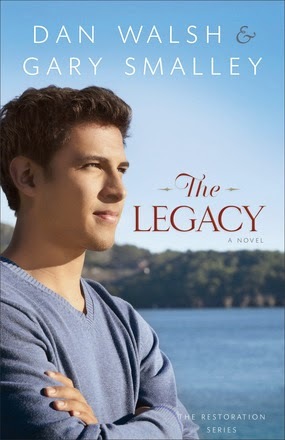 Dan Walsh & Gary Smalley complete their Restoration Series with The Legacy, continuing the story of the Anderson family by focusing on the youngest son, Doug. Many aspects of Doug's life fall closely in line with the Biblical story of the prodigal son, with his parents praying that he finds his way back home. This book, as well as the entire series, uses the lives of a fictional family to share valuable Biblical principles relating to family relationships. The family has been through a few years of difficulties and has learned important lessons that can likely prove very helpful to many who read the stories. As the series has progressed, however, it seems the story lines have not been highly engaging and have fallen a little flat. It does have its interesting characters and moments that are more engaging, and I would consider The Legacy worth the time to complete the series. Thanks to Revell for providing a copy of The Legacy in exchange for my honest review. From the captivating design on the cover of the book to the very last page of the epilogue, Irene Hannon had me fully entranced in Buried Secrets, the first book of her Men of Valor series. "The queen of inspirational romantic suspense" (a title I have seen attributed to Irene) never disappoints! The action begins in the prologue to this story and continues at an engaging pace throughout. The quality of research that Irene does into law enforcement practices and other aspects of her stories provides a sense of authenticity that makes you believe you are following stories straight out of today's news. An added bonus that you can't get in current news stories, though, is the chance to share in the personal lives of everyone involved. Lisa Grant and Mac McGregor, as well as the other characters, are developed with a depth that brings them alive and draws you completely into their stories. The romance and suspense work together for a page-turning experience. I highly recommend Buried Secrets to fans of great inspirational romantic suspense. I look forward to learning more about the McGregor brothers as this series continues. Thanks to Revell Publishers for providing a copy of the book in exchange for my honest review. After years as a Chicago homicide detective, Lisa Grant is ready for the kinder, gentler life of a small-town police chief. But the discovery of a human skeleton by a construction crew at the edge of town taxes department resources. 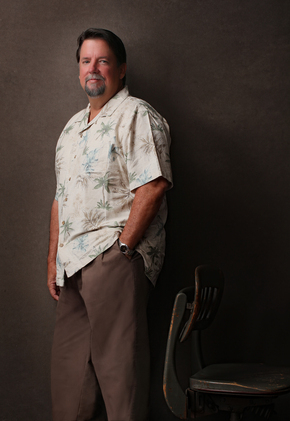 Enter ex-Navy SEAL Mac McGregor, the detective sent by the county to assist on the case. As they work to solve the mystery behind the unmarked grave, danger begins to shadow them. Someone doesn't want this dead person telling any tales--and will stop at nothing to make certain a life-shattering secret stays buried. 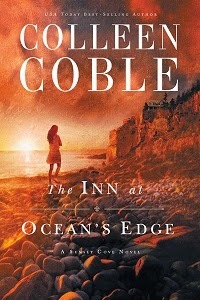 Colleen Coble has put together a story full of suspense in The Inn at Ocean's Edge. Every time I thought I might have something figured out in the mystery, there was another twist to the plot. This is definitely a story that will keep you guessing up to the very end. At times, the story appeared a little forced and didn't flow as smoothly as I would have liked, and some of the characters seemed to lack a good level of depth and development. All in all, though, this was an engaging story, and I look forward to more in the series. There is some element of faith in the story, although it is not a major theme. I would recommend this book to fans of clean romantic suspense. Thanks to Litfuse Publicity Group for providing a copy in exchange for my honest review. 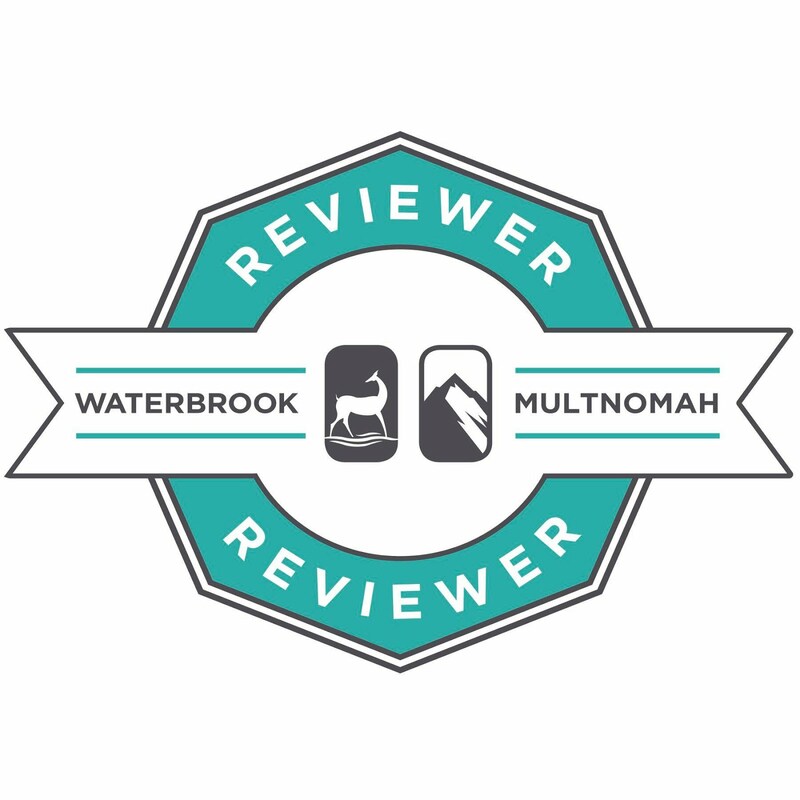 See what other readers have to say about The Inn at Ocean's Edge here. With flashbacks swimming just beneath her consciousness and a murderer threatening her safety, Claire’s very life depends on unscrambling her past . . . even if her family refuses to acknowledge it. Someone—maybe everyone—is hiding something from Claire Dellamare, and it will cost her everything to drag the truth out into the light. At the risk of sounding very redundant -- Kim Vogel Sawyer never disappoints! 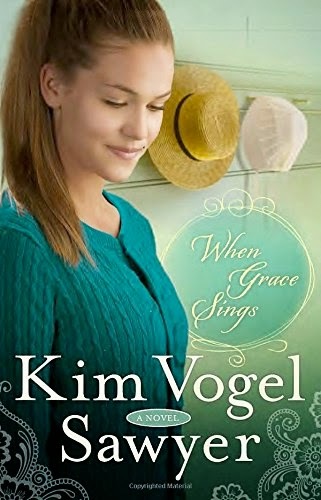 When Grace Sings, book 2 in her Zimmerman Restoration Trilogy, is another great, heart-warming story by one of my favorite authors. Alexa Zimmerman, whom we met in When Mercy Rains, really struggles with her identity and her place in her Old Order Mennonite family and community. When she has to deal with Briley Forrester (a big-city reporter and long-term guest at her B&B) and family members -- some of whom know her secrets and some who don't, she becomes even more unsettled and unsure of who she really is. As always, Kim draws you into her characters lives so that you feel their joys and struggles along with them. As you share their experiences, you can't help but care what happens to them and want to help them make the right decisions. And there is always a gentle, flowing element of faith evident throughout Kim's stories. The idea of grace as "the purest form of mercy, offered even when it's undeserved or rejected" is a resonating theme through this book, and it makes a huge difference in the lives of the characters. I highly recommend this Kim Vogel Sawyer story and look forward to finishing the story in When Love Returns later this year. I've only been reading Sarah Price's books for a short time, but I've already learned what to expect -- and what I expect is the unexpected! The Empty Cup definitely fits that description. It is a story in a familiar setting to those of us who are great fans of Amish fiction, but it shows a side of the Plain life that we don't always see. Rosanna Zook Troyer is a fairly typical Amish wife and mother, living her life doing the things expected of such a woman. But her past circumstances and an ever-increasing set of demands she allows to be put on herself continue to push her to a point of being an "empty cup" with very little time and energy left. Sarah does an excellent job of bringing her readers into Rosanna's thoughts and feelings so that we can truly share in her experiences. 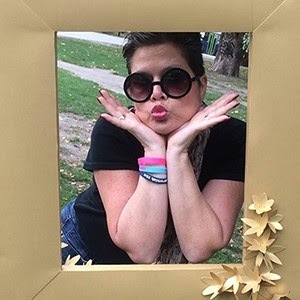 Journeying with Rosanna through her ups and downs is a captivating experience which also offers a challenge to take a step back and do some self-reflection about your own day-to-day choices. 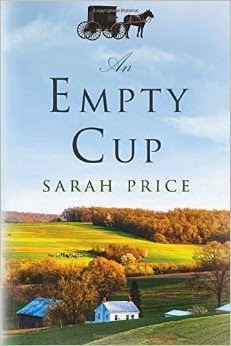 I highly recommend An Empty Cup to fans of great Amish fiction or anyone who might like a nice, introspective story. Thanks to Sarah for providing a copy of this book in exchange for my honest review.